Lakers being run like a mom and pop swap meet. Posted: Sat Apr 13, 2019 7:27 pm Post subject: Re: Are the Lakers being ran like a mom and pop store? 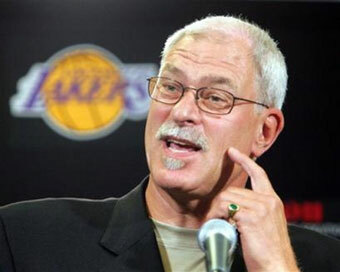 Between Jerry West, Mitch Kupchak, and Magic, former Lakers have been running the basketball operations for 37 years. A lot of our coaches have been ex-Lakers (Pat Riley, Magic Johnson, Kurt Rambis, Bryon Scott). I think Jeanie doesn't know much about basketball operation and the only basketball minded people she knows are former Lakers players so those were who she reached out. Unfortunately, most of them are not good at basketball operation either. And they don't have, nor even recognize, talent for running an organization. Yes, except for unlike terribly run mom and pop shops, it will never go out of business. It's more like a Country Club, hiring friends & family. Just want to take low hanging fruit (superstars) and not willing to develop their own. That was part of their pitch when selling us South Bay Lakers (formerly D-Fenders) season tickets a few years back, they said it would be a like a country club atmosphere. Sure enough, you'd see Joey Buss and his family at the games, a few seats over there's Lawrence Tanter and the sideline crew with everything being watched by Lisa Estrada from her vantage point at the back. AC Green on the broadcast. It felt like an extended family, everyone was friendly and approachable. in that respect, (for better or worse) it made the Lakers unique over the mega-corp entities that now own these franchises. I like Jeanie, thought she was the brightest of the Buss kids. Always stood behind her during the Buss family feud. Always gave her the benefit of the doubt. Unfortunately it's become clear that she is the common denominator behind the failures of this franchise. The Lakers have been a joke for the last 7 years now. I had hope she would finally see the light and right the ship by hiring the right guys to help run the team after this last debacle. Based on all the reports she's learned absolutely nothing. She will continue to surround herself by her "friends" instead of hiring the best qualified candidates. Total contrast between how teams are being run when you compare this franchise to the one next door. The Clippers may never be the top team in LA, but kids growing up these days contribute success to the Clippers more so than the Lakers. The Lakers are being run like the New York Knicks. They are also starting to resemble the Dallas Cowboys, fans and the franchise continue to revel in the past, continue to brag about how many "Super Bowls" or "Finals" they have won, when it's been almost a decade since our last NBA Championship. How long will we continue to live in the past instead of modernizing and realizing that this current approach is not working? go search by my username, i've been saying this ever since Jeanie gave Kobe that gift contract. this ownership knows nothing about improving the team and adapts to the new business model of the NBA. instead, it's still living in the past, by that i mean the days of the GW Forum days. the Buss kids especially Jeanie has no business owning a modern day NBA team, let alone the name brand like Lakers.